Easter is just around the corner, so to make sure you can plan appointments plenty in advance our opening hours over Easter Bank Holiday are listed below. There is still availability on Easter Saturday at the time of writing this, so give us a call on 0151 933 9559 to make an appointment, or you can do it right here on our website! HHS will be welcoming celebrity barber Simon Townley to our Bootle salon on Thursday 5th April for an Educational Barbering Master Class. Simon who is actually a fully trained hairdresser by trade but specialises in barbering and the fast growing men’s FADE! Simon has an array of celebrity clients including Liverpool FC & England striker Danny Ings, Burnley FC & England goalkeeper Tom Heaton and England centre half Phil Jones to mention a few (do you see what I’ve done there!). We are looking for a few more gents to come into the HHS salon throughout the day for some FREE hair cuts by Simon and our very own award winning team as part of the educational masterclass. We are looking for men with a range of different types, textures and length of hair, as we will be doing a whole host of different looks for the masterclass. Fill in the form below to book your spot and have your hair styled like the stars! If you are a trained barber or hairdresser and you would like to book a spot on the masterclass email barry@harrisonhairstudio.co.uk for more info. Places are limited so be quick! What times can you visit the salon on Thursday 5th April? One of our staff will call you back to let you know your slot if available. The shortlist for the North West FSB ‘Celebrating Small Business Awards 2018’ has been announced and a Bootle company is among those nominated for a title. The North West area finals of the national FSB contest will be held on March 22 in Blackburn and will celebrate the achievements of small businesses that play such a vital part in making the North West such a vibrant area to live, work and invest. When it comes to hair styling products, many people are sceptical, and for good reason! Not everything does what it says on the tin, and for most you pay much more than they're worth due to the hype built around them. Everyone wonders if they should really buy the product or if it would just be a waste of money. But we know a range that really is as good as it says, and we work at Harrison Hair Studio hard to prove this! What They Say: Extra strong fixing spray. Fix range, force level 5. Suitable for all hair types, extra strong hold, enhanced shiny look, quick dry, no visible residue. What We Think: Couldn't agree more! As an extra strong fixing spray it is key in holding those styles into place, and with a force of 5 out of 6 is proven to do it's job. As L'Oreal's website says, it dries quickly and leaves you good to go! What They Say: Anti-frizz hairspray. Fix range, force level 4. Suitable for hair prone to frizz, strong fixing results, controls the look of frizz, no visible residue, controls the look of frizz for up to 24 hr*, ensures enhanced shiny look. What We Think: Fix Anti-Frizz is a must for those who have untrustworthy hair in that pesky weather that ruins your 'do. We can completely vouch for all that L'Oreal says about this product, right down to the shiny look it gives! What They Say: Strong hold spray. Fix range, force level 5. Suitable for all hair types, fixing, gives hold, gives texture, no visible residue, natural looking result. What We Think: Fix Design is one of our best-selling products, and for good reason! Holding a style into place, particularly on shorter hair, is hard to do and this does it - no wonder it's so loved! For a product to have a force level of 5 and leave no residue is very hard to find, so we're glad it's on our shelves. What They Say: Light hair gel. Fix range, force level 4. 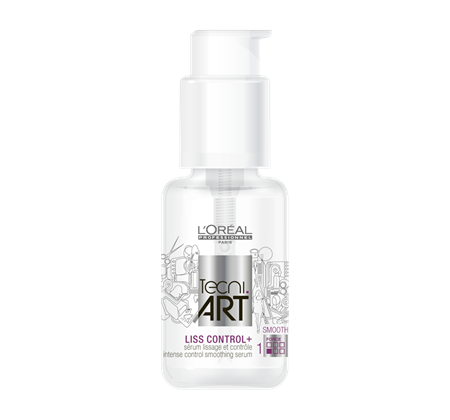 Suitable for all hair types, gives hold and control, light-weightless movement, sculpt and texturise effect. What We Think: This gel is the closest we come to sculpting products, as this is all we need! 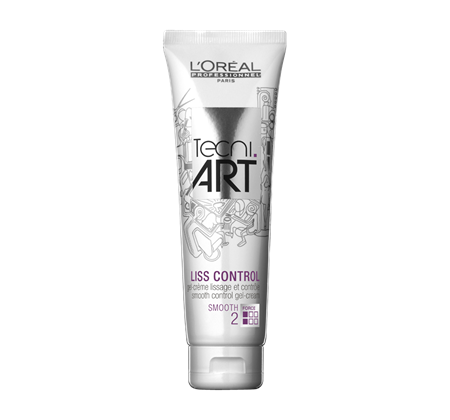 Fix Move is as light and weightless as L'Oreal tells you it is, because you don't need any more weight than this for the job to get done properly! While weightless, it still adds plenty of texture for that 'done-undone' look. What They Say: Strong volume mousse. Volume range, force level 5. Suitable for fine hair, gives extra volume effect, strong hold. What We Think: If it's volume you want, then it's volume you'll get! With added strength, this supplies your hair with the body you want that'll last all day. All the effort is applying the product to wet hair and Full Volume Extra does the rest of the work for you! What They Say: Smooth & control gel-cream. Smooth range, force level 2. Suitable for unruly hair, gives smooth effect, volume controlled, 24 hr* anti-humidity protection. What We Think: Exactly what it says on the tin, for 'unruly hair' that just won't do as it's told. By adding volume and smoothing the hair simultaneously, but without feeling like there's product in it, it's such an easy product to use and is so rewarding! We love Liss Control. What They Say: Intense smoothing serum. Smooth range, force level 1. Suitable for frizzy, wavy or rebellious hair, gives smooth effect, volume controlled, 24 hr* frizz look tamer. What We Think: At force level 1, you can't even tell there's Liss Control+ in your hair, but it still works it's magic! Similar to it's sister product, it tames hair that misbehaves, and gives you a solid day's worth of wear before you need to tackle the mane once more. We love this for a good, tame blow dry! What They Say: Invisible dry shampoo. Texture range, force level 1. Suitable for all hair types, style reviver with up to 24 hours* of time release perfume. What They Say: Thermo-modelling spray. Volume range, force level 4. Suitable for thick hair, shape fix, grip and hold, perfect for bouncy curls and wavy hairstyles, volume finish, help with root lift. What We Think: Pli is a complete holy grail product here at HHS, as we can firmly say we couldn't do what we do without it! It's a hit with stylists and clients, because it does absolutely everything - it's heat activated so it works wonders in a blow dry, it gives volume, it lifts roots, it holds EVERY style we do, we can't fault it! It sounds like we're just listing L'Oreal's qualities for Pli, but it really does do everything they say! What They Say: Volume and texture powder. Volume range, force level 3. Suitable for all hair types, volume and texture effect, gives grip, strong bodyfying effect, matte finish, enriched in texturising powder. What We Think: Super Dust is another firm favourite for volume and texture at HHS, it's a shame we don't get to use it as often as we'd like because it's such a best seller! It's a brilliant product to use when your hair needs that boost, and even better because you can use it on the go. We don't know anyone who doesn't love this one - it's foolproof! What They Say: Root lift spray-mousse. Volume range, force level 3. Suitable for all hair types, fine or flat, gives root life and volumised effect, supple and light feeling lengths and ends. What We Think: Volume Lift is perfect for those who find themselves giving their hair a little ruffle when it's styled. We use this as often as we can to show people how much of a confidence boost it is to have volume at your roots! It might not seem the most exciting, but in our eyes it's definitely a game-changer. We've posted when the salon will be open over the festive period, but just in case you missed it you can find that here. Back in the Headlines... Team HHS Strikes Again! There's nothing better than the feeling of being proud! Being proud of who you are, what you do and what you've achieved is everyone's aim in life, right? When we reached 10 years old back in October, we thought this was an achievement more than any other that deserves recognition and celebration. We wanted to celebrate HHS, the community we've built as a business and a brand, and those around us who have supported us over the years. So back in November, we planned an event to do just that. First was Pete Reynolds and second was Barbara Rouse. You know these names well enough by now, but if you need a refresher, click here for Pete's journey and here for Barbara's! For both of them, involving yourself so heavily in such a cause is something that we find inspiring. So we incorporated the two into an event, and the event was a hit. We were thrilled with the turn out and couldn't be more thankful for the money we raised for Pete and his fundraising #TeamReynolds journey for charity. More than this though, we were happy the word was being spread. About HHS, about Barbara and her work, and about Pete and his journey. People were meeting and talking to one another, and new communities were being created right before our eyes. During the build up to our #HHS10YY event, the Bootle Champion even printed our story and this brought more of the community together, and that's what's brought us to write this post this week. Recently, we were printed by the Champion for a second time relating to the event. We're so lucky to be in the headlines twice for this, but we've also worked so hard and we're glad the word can be spread about how wonderful the journey has been! The best part is that the article isn't all about us, it's about someone else who we've brought to the attention of others, and this could do wonderful things for her! We've made a friend in Barbara, we've also brought her work and Pete's journey to the attention of others and we've shown how we really wouldn't be where we are without our community. So, after all this, why are we proud of a simple article in the local paper? Being proud of an achievement like this may not seem like much to others, but it shows how far we've come, and what simple appreciation can do. HHS has expanded in Bootle via Harrison's Tea Room and HHS Luxury Chauffeur Service, and Bootle as a community has welcome HHS as a brand with open arms. From this we've created our own little community and we wouldn't change it for the world. So, this is just a quick thank you from all of us, for the recognition of our hard work and for the appreciation - it's what keeps us going! It's also a quick reminder to keep supporting each other. Something small to you could be massive for somebody else! It's that time of year again! During the festive period there's nothing better than treating yourself to a little pamper and getting your hair done, especially before Christmas! We think it's best to be organised throughout the month to get the best appointment that suits you for your plans. So, here are our opening times! Tanya and Natalie will both be working Christmas Eve, and both still have some appointments left so grab them quickly! For Christmas Eve appointments, we're taking blow dry appointments only* and we kindly ask for a full payment upfront. Due to past experiences, this is so we can avoid no shows as much as possible! On New Year's Eve, again we're taking blow dry appointments only*, and we're requesting a 50% deposit for these appointments. All of the girls will be in the salon on NYE, so you have pick of the bunch but be quick - slots are disappearing quickly! *All appointments on Christmas Eve and New Year's Eve are by appointment only so you will be allocated a slot - this is so we can make sure all appointments run as smoothly as possible, and so nobody is waiting around on these busy days! As a L'Oréal salon, obviously we love and have a strong connection with the brand and the products they offer. Because we believe in everything they do and think they produce amazing, innovative products, we aim to do whatever we can to get these L'Oréal products to all of our clients for the best prices! By selling the products right here in our salon, it means they are accessible to you, and the style you leave the salon with can be recreated by you at home. If we can get these products to you, brilliant. If we can do it at unbeatable prices, even better! LookFantastic are currently offering 20% off all L'Oréal Professionnel products on their site for a limited time, which means they're at excellent prices right before the holiday season. To make sure our clients are always getting the best offers available, we have decided to price match LookFantastic! From now on, whatever prices LookFantastic are offering for L'Oréal Professionnel products on their site, we're also offering right here at Harrison Hair Studio. Amazing - we know! To grab the deals while you can, come and see us in the salon to pick some up for Christmas, or even have a look at our L'Oréal Gift Sets (some even have freebies!). If you're organised and already have all of your Christmas shopping in the bag, why not treat yourself?! Ask your Stylist what shampoo or conditioner they used and grab a bottle for your shower at home - it's that simple! 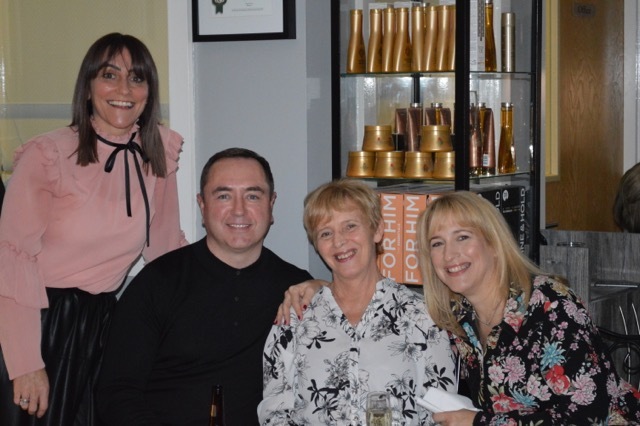 Barbara Rouse was overwhelmed by the whole 10 years younger makeover experience, which was timed perfectly as Barbara has just celebrated her birthday and said it the best birthday present she’s ever had! There wasn’t a dry eye at the event whilst Barbara told us how much it meant to her to get recognition for all the voluntary work she has done over the years in the Bootle community, the place she loves! We had a count yesterday after the event and we managed to raise £1211.75 which we are ecstatic about as we where aiming for £500 but everyone in the local community came together to show their support for Barbara and Pete, and we smashed it! All of this wouldn’t of been possible without the hard work from all our staff and with the help from our friends Liz Ellis Cosmetics (Huyton), Louise Welsh Makeup (Maghull), Marks & Spencer’s (Aintree) and our very own Tanya who did amazing work with Barbara for the 10 years younger makeover. Plus all the donations and amazing raffle prizes from L’Oreal Pro UK, Azure Dental (Formby), Grosvenor Digitat (Bootle), L20 Restaurant (Bootle), HHS Luxury Travel (Bootle), GHD UK and Pioneer Fitness (Bootle) who were all so generous. We had amazing live music from Ted Russet who’s a music student at LIPA, also wonderful food and drink from Harrison’s Tea Room. Ensuring your hair stays healthy is about far more than just the products you use. Your lifestyle and fitness habits can have a significant impact on the condition and strength of your hair too. Here are some fitness habits we should all take up in order to keep our hair in top condition. Take Regular Exercise - Exercising regularly is the best way to maintain a healthy heart and good circulation, which can help improve the scalp’s blood flow. This in turn aids in delivering essential nutrients to your hair follicles to keep hair strong and healthy, whilst promoting new growth. Eat a Balanced Diet - Hair needs vitamins and minerals in order to grow strong and healthy. Lack of essential minerals can cause conditions which lead to hair loss. Ensure your diet includes plenty of natural sources of iron, such as red meat, eggs and leafy green vegetables, as well as plenty of protein and fresh fruit and vegetables. Get Some Shut-eye – Lack of sleep can lead to elevated stress levels, which could cause thinning hair or hair loss. Aim for between six to nine hours a night to ensure you feel your best. Reduce your stress levels - Everyday stress is as much a factor as significant life events, and reducing your stress levels can help to protect you against hair loss conditions. Unwind with relaxation techniques or try gentle, regular exercise which is proven to help reduce stress levels. If you would like any more hair advice or to book in for a free consultation, call us on 0151 380 0151 to speak to one of the #HHSLiverpool team.